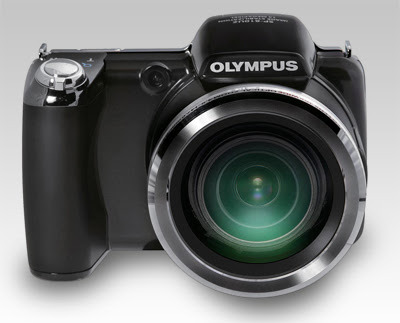 Olympus has announced the SP-810UZ superzoom with a 36x (24-864mm 35mm equivalent.) 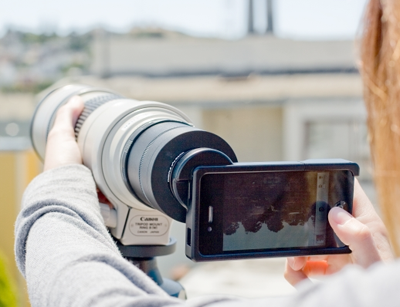 zoom lens - the world's longest optical zoom in a compact camera. 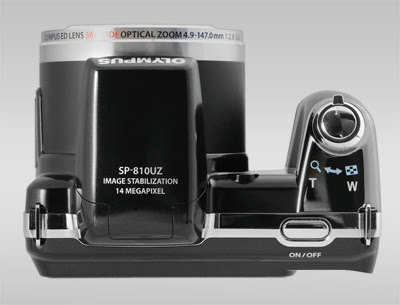 Successor to the SP-800UZ, the SP-810UZ also boasts a 14MP CCD sensor, 3.0" LCD and 720p HD video recording. Also included are a 3D capture mode, AF Tracking and Magic Filters including a new 'reflection' effect. 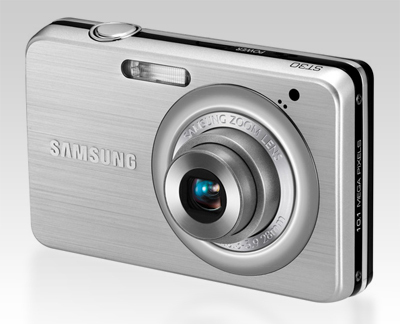 Priced at $329.99, the camera will start shipping from September 2011. 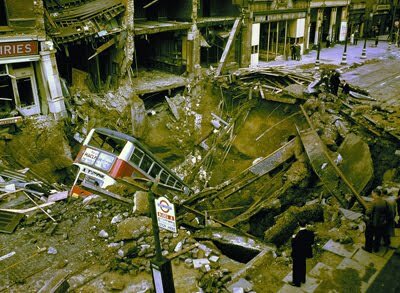 The Daily Mail has published a series of colour images of the Blitz, released to mark the 70th anniversary of the launch of Winston Churchill's 'V for Victory' campaign on July 19, 1941. Digital Photography Review has published a Group Test of six travel zoom compact cameras. The two that come top of the heap are the Canon SX230 HS and Nikon S9100, both available for around £200. "The Canon and Nikon provide enormous versatility, meaningful manual control, and good image quality, in relatively small, portable bodies. If we could combine the strengths of the two into one camera, we'd take the Nikon's lens (and in-camera CA correction), LCD screen and speed, and meld them with the Canon's excellent image quality, reliable AWB and metering systems and built-in GPS." Lion already installed, significantly faster (Wired says they compete with the MacBook Pros), the backlit keyboard is, erm, back, and a Thunderbolt port. When the price of 480GB SSDs come down a bit (the SSD is replaceable), I'm going to be very tempted to replace my 17" MacBook Pro with the 13" MacBook Air. Prices start at £849, but if you know anyone travelling to the States, they begin at $999 (£619) over the pond. For everything Apple wants you to know about them click here. 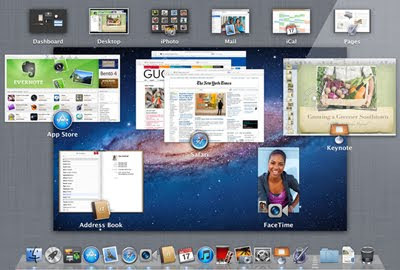 Apple's latest OS upgrade has (according to Apple) over 250 new features, the most interesting being multi-touch gesture control (think iPhone-type touch navigation), AirDrop (easy mac-to-mac file sharing) and a revamped version of Mail. It's a download-only product, available from the Apple App Store for £20.99. For everything you want/need to know about Lion, click here. Brett's 2p'orth: If you don't need any of the features, it might be worth leaving it for a while to let the early adopters discover any gremlins that have evaded the beta-testers. And if you have any older apps that relied on Rosetta to run, they won't run on Lion. Looks like I'm going to have to find an alternative to Adobe GoLive. Gotta hate progress. Sony claims its latest headset will be able to operate while you are out running in the rain without a problem, or in the gym as you work up a sweat. Sony even goes so far as to suggest you can wear the headset in your post-workout shower. Which sounds great, until you read the caveats. Sony’s Sports Walkman should not come in contact with "continuous water...shampoo, conditioner, face wash and soap" and of course should not be used with "high-pressure showers." So just to clarify, you can’t wear it in your post workout shower. The headphones are 25 percent lighter than the previous model and come in glossy black or white. The earphones come with silicon buds in three different sizes. A three minute charge gives you one hour of listening. A full charge will give you eight hours of playback. 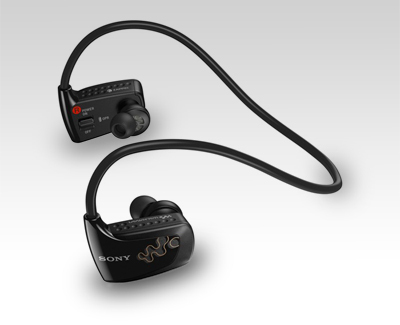 The supplied software means it’s a drag-and-drop affair for transferring music to the Walkman. 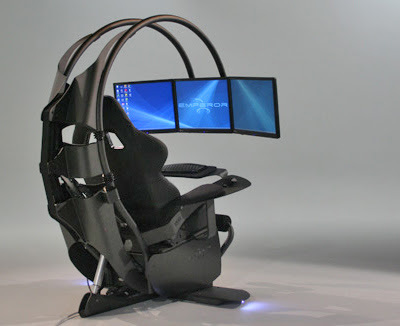 Available August 2011, price to be confirmed. Being able to sail more than three times the speed of the wind requires some hefty engineering. 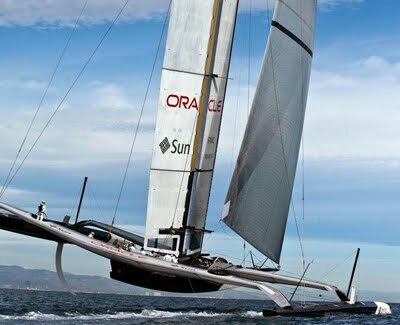 The big brains behind BMW Oracle's USA-17 racing yacht placed a rigid wing sail on top of the 90-foot trimaran's three carbon-fiber hulls. The 223-foot sail - the largest ever constructed - is split vertically into two pieces, and the rear section is made of multiple panels that can be individually adjusted, much like flaps on a jumbo-jet wing. The design allowed the yacht to average 26.8 knots in just 7 knots of wind during its winning run at the 2010 America's Cup. Digital Photography Review have published an in-depth review of Panasonic's third-generation Micro Four Thirds offering. "The G3 occupies a unique place in Panasonic's G-series lineup. With its impressive 16MP sensor and high quality built-in electronic viewfinder, this model would seem to hold appeal to DSLR owners looking for a lighter carry-everywhere camera." "The G3 is a satisfying camera to use. Small and light enough to carry around all day, it can produce usable images even at the high end of its ISO range." "The G3's rendering of finely detailed subjects stands up surprisingly well against entry-level DSLRs. 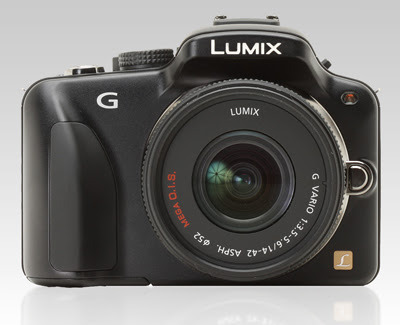 Along with the more expensive GH2, the G3 represents a benchmark for Micro Four Thirds image quality at this point in time." "At low ISO values, the G3's image quality compares very well with even the best APS-C based DSLRs in its price range." "JPEG rendering still exhibits some less-than-pleasing characteristics seen in previous Panasonic models. Color rendition, particularly along the red hue can be inaccurate." "One of our long-standing criticisms of the G-series, poor skin tone rendering, has been improved in the G3. 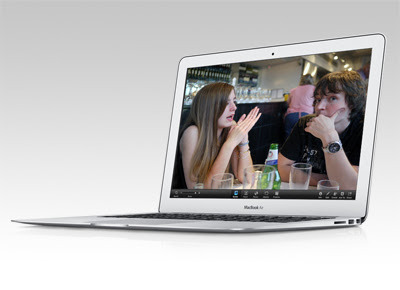 The G3's default white balance yields more realistic flesh tones among a range of complexions." "The G3 is a very comfortable camera to carry around on an all-day excursion and using the basic functions of the camera is intuitive." "The G3's touchscreen interface is a joy to use and makes other manufacturers' implementations feel poorly designed by comparison." Brett's 2p'orth: The DMC-G1 that I have been using for over 2 years is the best compromise between bulk and image quality that I have ever owned. If you're looking for a DSLR-type camera in the £500 price range (including lens) then my advice would be to take a look at the G3. Me, I'll be holding off from trading in my G1 until I find out whether the rumours of a soon-to-be-launched GF PRO are correct. Fast Forward is a speedy, immersive way to explore new music being discussed by the world-class blogs we index at The Hype Machine. 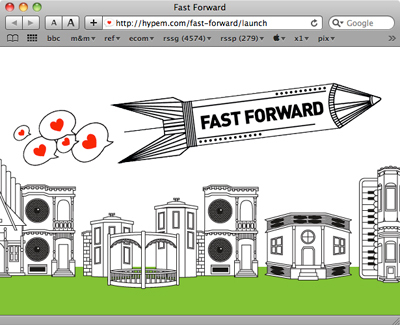 Fast Forward is like a spinning radio dial across radio stations curated by music bloggers. From the latest, popular, or genre channels of blogged music, we show you screenshots of related blog posts, while playing short samples of the songs being discussed. Want to read the whole post? Click the big image on your screen. Like the song? Click the heart to add it to your Hype Machine favorites. Use your arrow keys, space bar, or the > button to skip to the next sample. To give it a whirl click here. 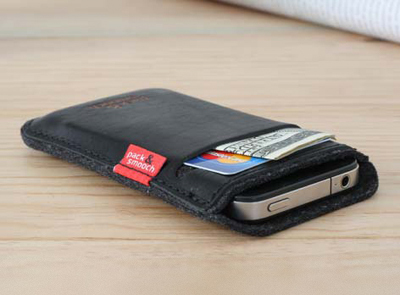 Pack & Smooch produce a range of attractive laptop, iPad and iPhone cases in felt and leather. I particularly like the look of the above-pictured 'Leicester' leather iPhone case, although the card/note pocket looks a little small, and the phone-fit a tad loose. 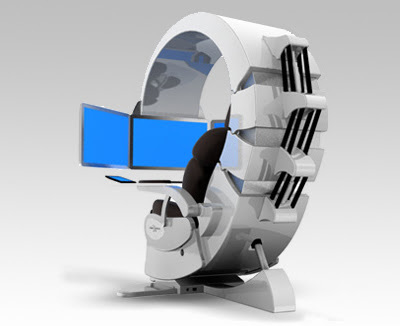 Hand built to your requirements, the Emperor 200 is the ultimate computer workstation with several exclusive features such as touch screen control center, air filtering system, light therapy, electric powered leather seat, 3 x 24" LED screens and breathtaking sound. The MD Walkman was launched in Japan in 1992, and that's one of the few places where you can still buy a player outside of eBay. But not enough folk are doing so, and Sony is knocking MiniDIsc Walkman production on the head. MiniDisc was one of a number of formats launched to supersede the compact cassette, DAT and DCC among them. Only MiniDisc prospered as an audio format. DCC died almost immediately and DAT found a home as a data back-up medium. 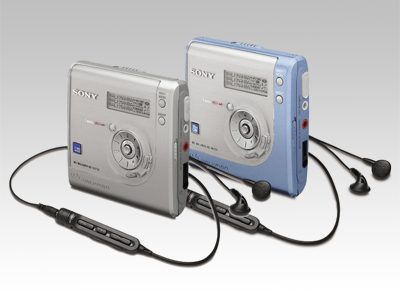 MiniDisc was a hit as a recording medium, and Sony will continue to make both discs and MD-compatible hi-fi kit. 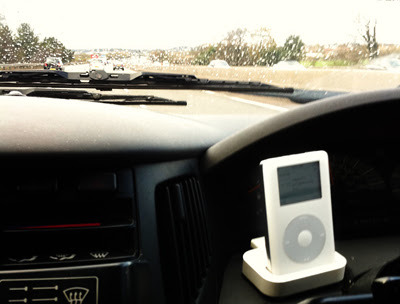 Brett's 2p'orth: Yes, the image does show as 'upside down' on the iPhone's screen. File under 'loopy'. 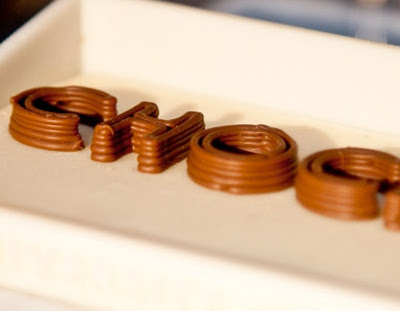 It seems impossible, but apparently nobody has ever made a chocolate-laying 3-D printer before now. Thankfully, that oversight has been remedied by Dr Liang Hao and his team, of the University of Exeter in England. The printer works like any other additive 3-D printer, building up the design one layer at a time, only this one works with chocolate. The final goal is to have the printer available to consumers, so they could go into a store with their design and print out a tasty treat to give as a gift. To this end, an easy-to-use interface to input designs is already in development. Long hours at the new summer job? Feeling unprofessional when you check your Facebook profile at the office? 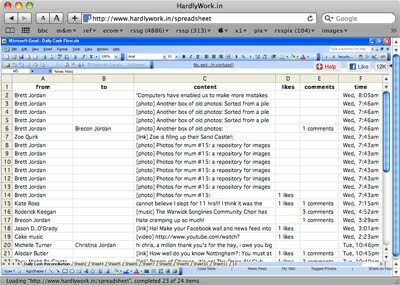 Well there's nothing more professional than a nice spreadsheet. Sign in with Facebook, and see your news feed rendered into an innocuous corporate form. 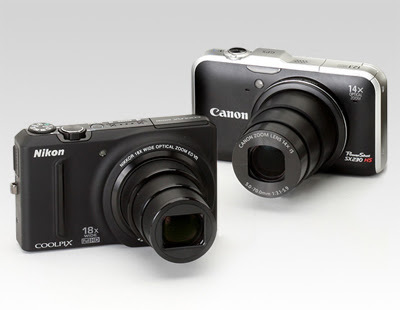 Register Hardware has run a review of 10 cheap, small compact cameras. The one that stands out to me is the tiny, cheap (£60) Samsung ST30. The ST30 (82 x 52 x 17mm [smaller than a credit card, Ed. ], 86g [small, old-school mobile phone, Ed.]) is delightfully dinky. The 2.4in screen resolution is only 112k dots, so it looks decidedly low-res. Samsung’s 4.1-12.3mm, f3.3-5.9 (35mm equivalent 28-84mm) 3x zoom lens takes surprisingly good macro shots, as well as proving to be a good all-rounder. It’s also quick off the draw at just under 2.5s from start to shoot. The autofocus response was also within respectable limits and coped well for low light and night shooting. As a step up from a phonecam, the ST30 certainly hits the spot, with the low-res screen and Micro SD storage choices being the only things to grumble about. If you’re content with a 10.1Mp resolution, as a point and shoot snapper, the ST30 puts in a thoroughly respectable performance with good ISO choices, spot on exposures and an autofocus that gets it right just about every time. 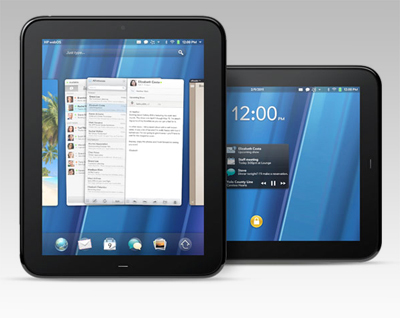 MacWorld have released a review of HP's new tablet. "I’m glad that HP finally shipped the TouchPad. If it can get developers engaged in its platform and iron out all the bugs while also growing webOS as a smartphone operating system, it might really have something here. But that’s a story about the future, and about potential. For now, the TouchPad is just another iPad competitor that can’t measure up."